Obstetrical nursing encompasses labor, delivery and aftercare for mom and baby. If watching babies come into the world and taking care of them in their first few days of life sounds like your dream job, welcome to the world of obstetrical nursing. Although every day is different in the maternity ward of a hospital, you can count on certain things happening. Your day might start with admitting a mom-to-be and her often nervous partner. Over the next few hours, you will walk them through the process of giving birth, ease their fears, and assist them through labor and delivery. You may spend the next day helping the parents adjust to their new roles. Nurses work in labor and delivery care for the laboring mom -- and her partner! -- from the moment she enters the hospital, through the birth, and normally for an hour or so after the baby's arrival. When a laboring mom arrives, you place the fetal monitor, explain what the monitor shows and check to see how far labor has advanced. You'll call her doctor and tell him how things are going. Starting an IV, drawing blood, giving pain medication and labor coaching are all part of your job. 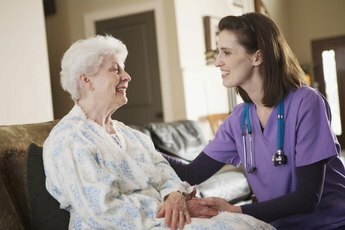 You'll also report any signs of complications to the doctor and take steps to correct them. If your patient needs a Cesarean, you'll often go into the operating room with her and care for the baby right after birth. 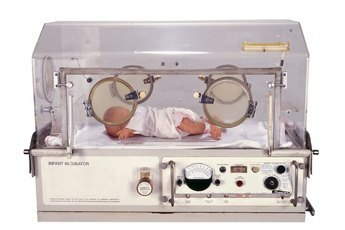 After the birth of the baby, whether by C-section or vaginal delivery, most maternity units closely monitor mom and baby for one to two hours before sending them to postpartum care. You may help mom start breastfeeding and do routine baby care, such as weighing and cleaning up the baby. Because complications can arise after delivery, nurses check vital signs for both mom and baby, keep an eye on vaginal bleeding and make sure the uterus stays firm. You also watch the baby for signs of distress, such as changes in color or tone or respiratory difficulties. After an hour or so, mom and baby generally go to the postpartum unit, if there is one. Postpartum obstetric nurses do a lot of teaching about newborn care. If mom had a C-section, you will also assess the wound site and watch for signs of infection, as well as give pain medications. For a vaginal delivery and episiotomy, you may apply ice packs and watch the perineum for abnormal swelling or heavy bleeding. Other duties may include helping the patient to get out of bed and encouraging her to walk around during her recovery. Most maternity nurses today take care of both mom and baby in the same room. During the typically short postpartum hospital stay, you may pack a lot of teaching into a few hours as you show parents how to care for their baby. You'll also watch for signs of poor bonding or breastfeeding difficulties; assess the baby for signs of jaundice or other physical problems; draw blood for routine testing; and administer any immunizations. Reassuring the new parents that they're doing a good job is also an important job for any obstetrical nurse. What Is a NICU Doctor? What Kind of Nurse Delivers Babies? 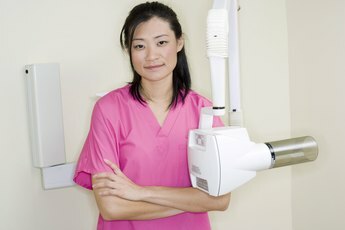 What Is a Hygiene Assistant?